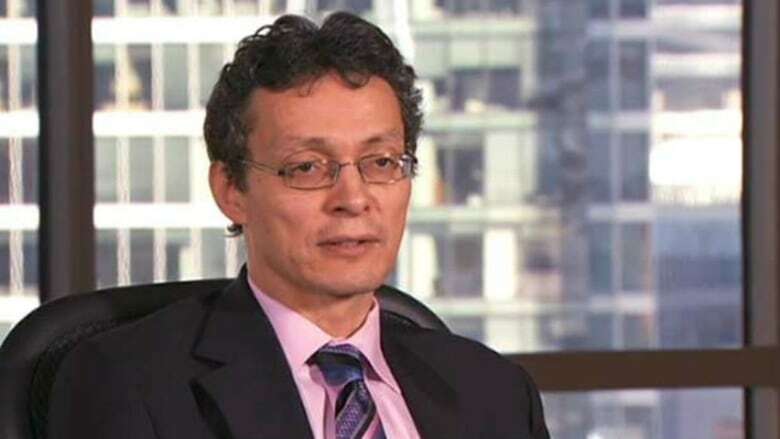 "That is where we have invested all of our upfront effort," said Helin, who admits it has been a challenging task getting so many First Nations on board. "It's taken us five-and-a-half years," said Helin who is now in the process of finalizing those agreements. "Pretty much we've just about got the whole thing done." Just who is signing those deals remains confidential and protected by non-disclosure agreements. CBC News has not confirmed they are in place along the entire route. 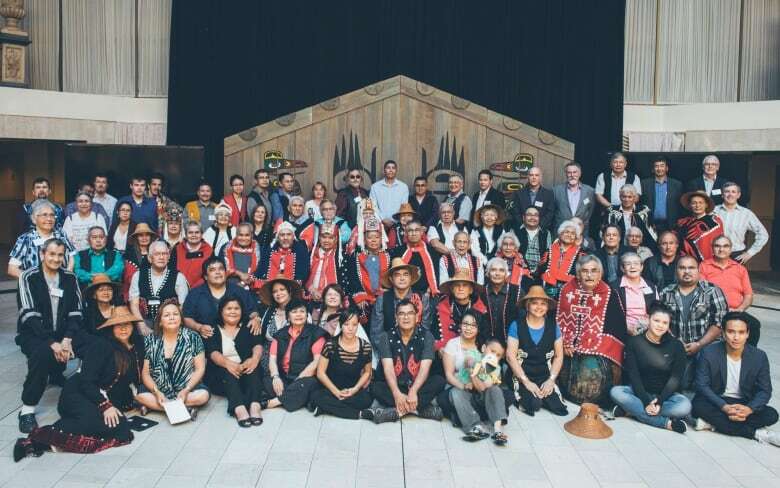 While the elected leader of the Lax Kw'alaams Band supports the pipeline, another group called the Lax Kw'alaams Allied Tribes said Eagle Spirit Pipeline supporters failed to consult them and the hereditary leaders support Bill C-48, the Oil Tanker Moratorium Act. 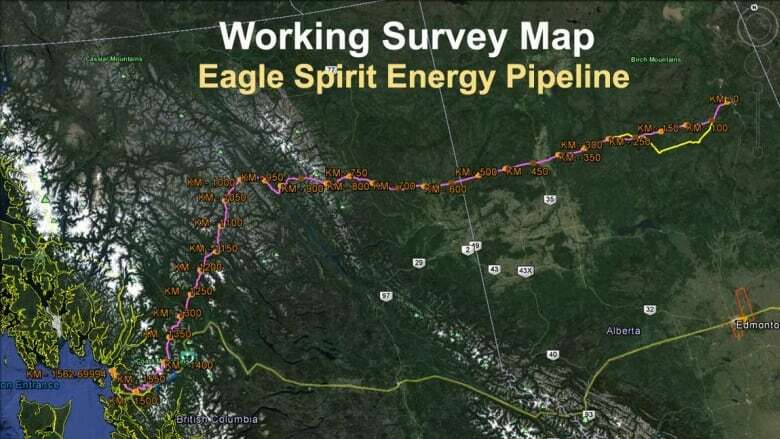 Several other First Nations along the route have publicly supported the project since it was first announced in 2015, including the Gitxsan and Alberta's Treaty 8 First Nations. 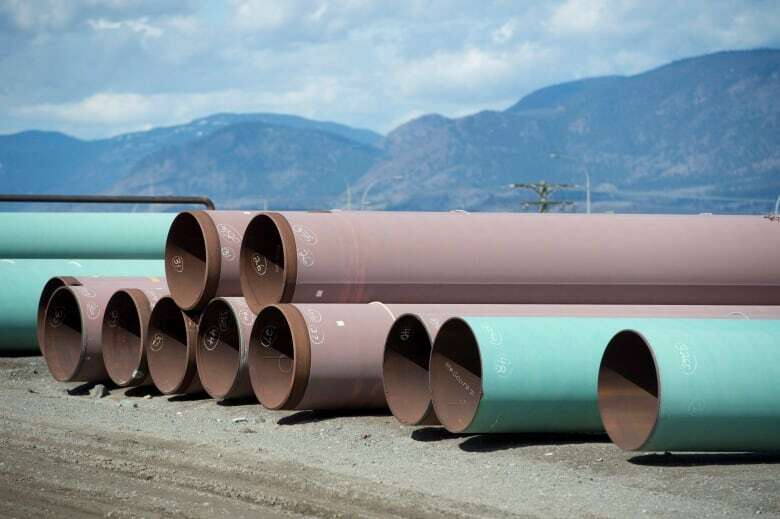 Other First Nations leaders who might normally be opposed to such projects, such as Coastal First Nations Board Chair Patrick Kelly, are reluctant to speak critically of it.